This tute was created in Illustrator CS2, but you should be able to figure it out. I chose this one because you have worked with almost every single tool used to make it. If you get stuck in one spot, ask 3 other people who have something done how they did it. Please do your best, think it through, work together to work it out. To begin the Tutorial Click on the big Stop Watch below . 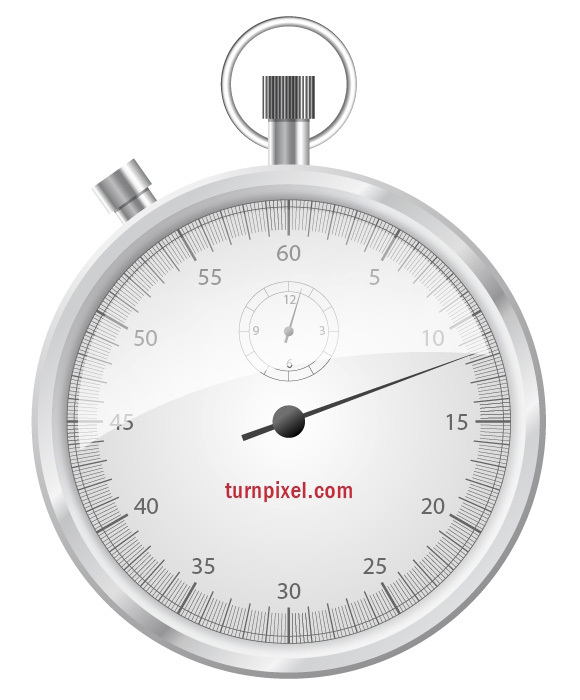 . .
One Important thing - in the middle of the watch, where it says "turnpixel.com" . . . Please put your Full Name and the Period you're in. Click on that big watch to go directly to the tute! As a matter of fact, nominate one of YOU to call out SAVE!